Near the F and G train at the Bergen stop. Also a short walk from the A and C trains on the Hoyt- Schermerhorn stop and 2, 3, 4, 5, D, N, R, Q at Barclays Center. 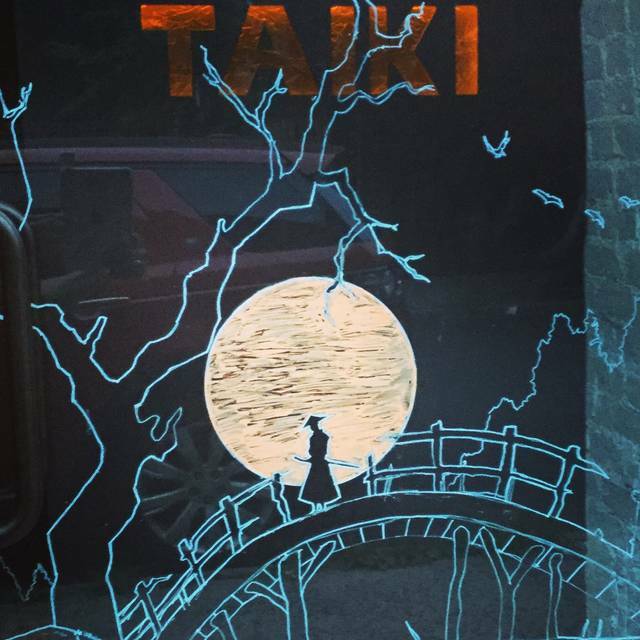 Nestled in the Boerum Hill neighborhood, is the best sushi restaurant in Brooklyn, Taiki. Join us for an authentic Japanese sushi experience, with the majority of fish being imported straight from Japan. The head chef, Taiki Minamitani, boasts 18 years of experience as an Itamae (sushi chef). Our selection of wine, sake, signature cocktails, and beer is specifically selected to complement our traditional sushi menu and original kitchen menu. The romantic and cozy setting is perfect for parties, dates, or just drinks with a friend. We hope to see you soon. 6 Piece Omakase for $24, Beer for $5, and signature cocktails, wine, and sake for $9. We are offering a Mother's Day Special Menu from 12 PM - 5PM. Guests will have 3 options to choose from all priced at $26 for each respective option. Beer, Wine, and Cocktails will be served at Happy Hour price. Let's celebrate a special day for our hard working mothers! My only problem was that the name on the gift certificate which brought me to this place, was not the name on the door. I had to do a bit of sleuthing. Really good food and service, at a premium. I would go back, but can't afford to make it a regular thing. Hidden gem! Omakase is good value and delicious. But the eggplant appetizer may be the most delicious thing I have ever eaten. Amazing atmosphere and really delicious food. The fish was extremely high quality and the appetizers were so good. Absolutely the best sushi I’ve had in New York and at least as good as the best I’ve had in Tokyo! Expensive and worth it! My boyfriend and I came here on Valentine's Day. We both work 60 plus hour weeks, so we were excited to finally have a nice date with each other. We thought an 8 course dinner and "bottle of sparkling sake" for $160 for 2 was a great value. We were incredibly disappointed by the meal. Our server was juggling way too many things including wearing the hat of hostess. At the beginning of the meal, we felt rushed. The first 2-3 courses all came at once and we didn't get any water until 20 minutes into the meal. The first 2 courses weren't anything special, miso soup and edamame to share. Every Japanese lunch special in New York City comes with miso soup and the obvious edamame add on. We were hoping for something more inspired?? The bottle of "sparkling sake" was flat and wasn't really a bottle, but more so a 350ml serving. The other 5 courses took an hour and a half to come out and they were out of order. The whole point of having an 8 course dinner is to enjoy the progression of the meal the way the chef intended. But apparently something went wrong in the kitchen so our dinner ended up lasting over 2 hours. It caused a traffic jam by the front door as the guests waiting for our table were standing next to ours. Eager to sit down at our spot and begin their own meal. I thought the whole thing was sloppy, disappointing and overpriced. I will say that the sushi and sashimi was marvelous. Oh and the 8th course desert was very disappointing, 2 pretzel sticks dipped in strawberry yogurt wrapped in plastic for you to take to go on your way out. Thanks for the feedback, sorry to hear this, I've reached out to you privately to see how we can make things better. We LOVE this place. Since it’s just down the block, we definitely plan on making it our go-to, neighborhood Japanese restaurant. 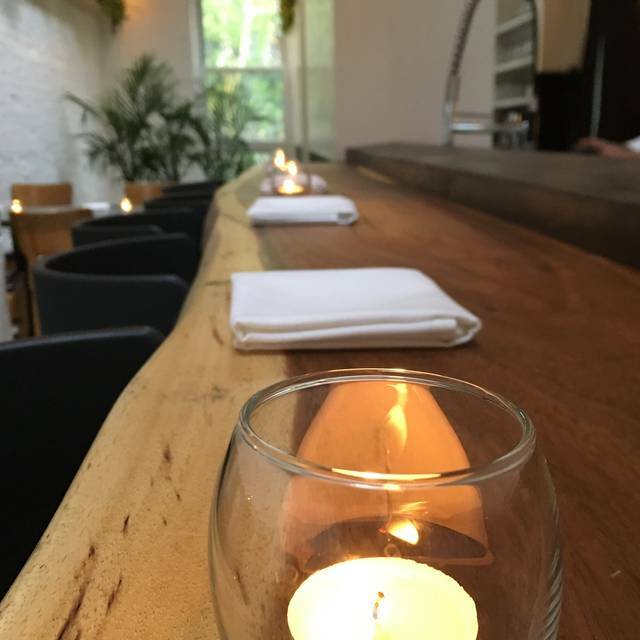 The food is always on point, the service is lovely—knowledgeable, attentive, friendly—and vibe is laid back (but it still feels like ‘a night out’). ...we’re just trying to keep it quiet, so we’re still able to get a table! Amazingly fresh sushi in a cool atypical environment with fish from Japan and New Zealand the night we were there. Some of the freshest and best sushi I have ever had. Stellar service as well. Food was fresh and delicious. Loved the trim, curated menu. Everything was excellent - from the appetizers and omakase to the sake. It is a hidden gem. Taiki is a Brooklyn jewel . Used to be a bit better, but solid, fresh sushi. Omakase was fine, but served on a platter, rather than one at a time, which I think is a better experience. We have a number of good sushi restaurants in Southern California (we're transplants) but VERY few with the quality of fish offered by Taiki. It was melt-in-your mouth and perfectly cut. The rice was perfect also - was neither gluey nor crumbly. The edamame was to die for. The musical playlist was also innovative and pleasant, a lovely accompaniment to a very, very fine meal. Seared Tuna/Yellowtail/Salmon Belly was outstanding. Taiki is an awesome sushi spot with delicious fresh fish and interesting appetizers, all at affordable prices. 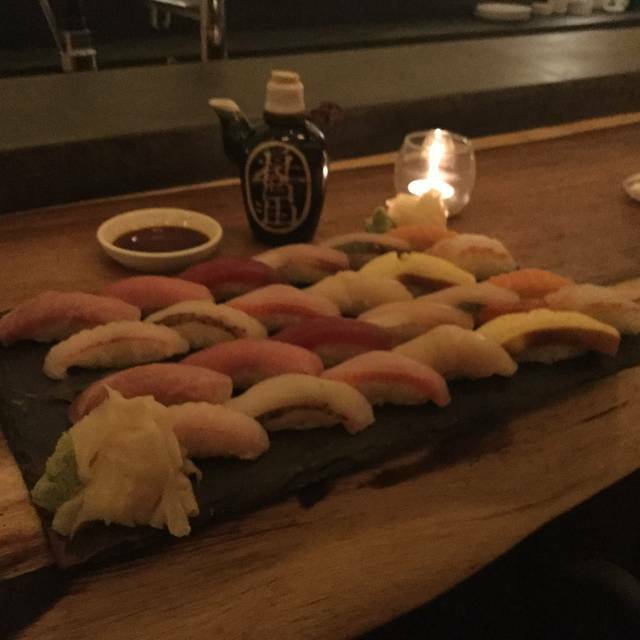 Amazingly fresh sushi in the heart of Boerum Hill, this place is such a wonderful gem! Very good, can't wait to go back.Great before Barclay events. 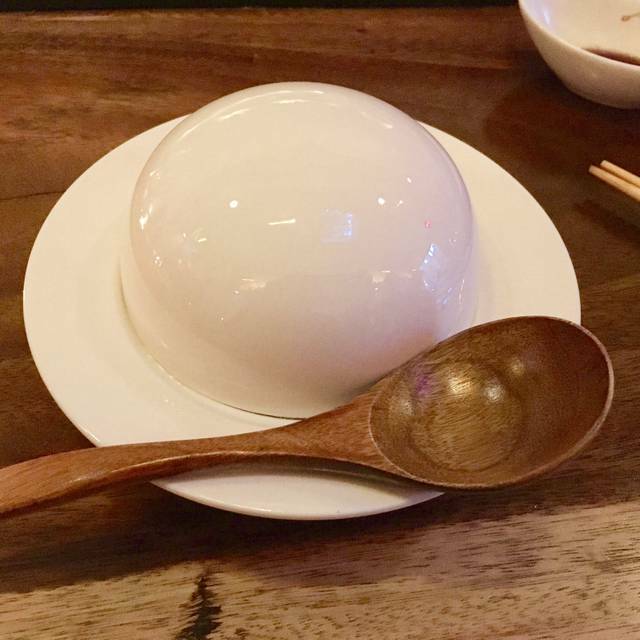 Very unique sushi experience. High quality fish, great service, and nice ambiance. Definitely one of the best sushi places in Brooklyn, if not all of NYC. Great sushi!! Love everything in the menu! Great cocktails! Can’t wait to come back again! Authentic and wonderful Japanese spot! Sake and fish quality was high, and the service was amazing. 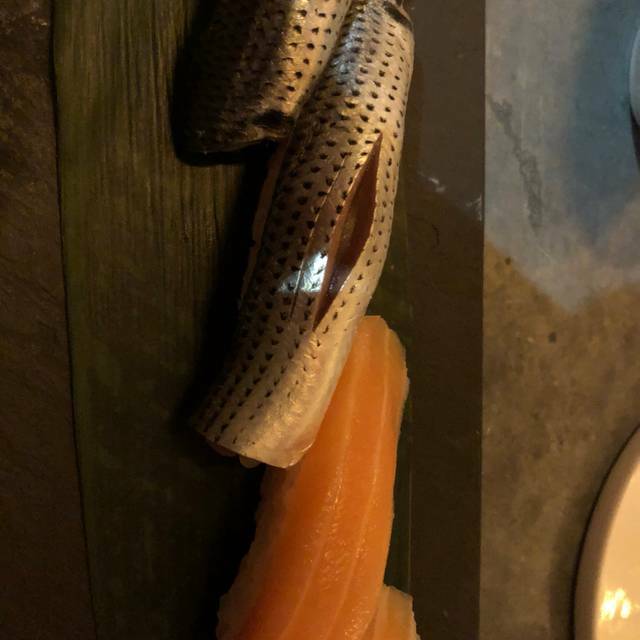 I highly recommend the omakase, the chefs provide an excellent selection, and the choose your size makes it pretty affordable (especially at happy hour). It's a nice intimate spot, definitely great for a date. The food was fantastic with a lot of great unexpected flavors. Try the specials for the day. Most flavorful edamamme. Parents were in town so wanted to share my favorite sushi joint with them. We started we great cocktails and had fantastic sushi. We had the most amazing time at Taiki. Everything was on point - the food, the service, the atmosphere and vibe. Definitely can't wait to go back! This was second time at Taiki. Start with special spiced EDAMAME and Japanese beer and nicely selected Sashimi was perfect. 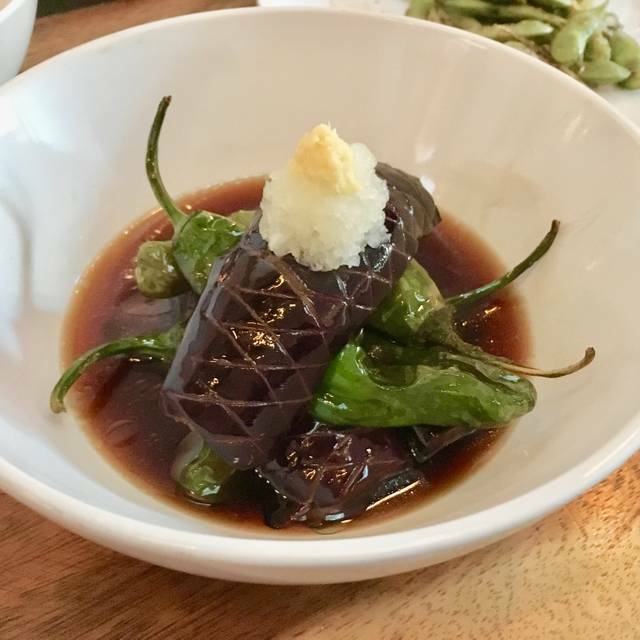 Nasu Agebitashi (Eggplant, shishitou, soy dashi) and mussels with jalapeño were very special. You must try Miso Chowder, too. If you want to try quality sushi, go with Taiki. It’s casual but great service and nice ambiance. We really enjoyed the omakase (chef's choice) meal we had. The fish was well-selected and well-prepared for our sushi, our appetizer (a tunafish tartare) was delicious and the sake list was well-curated. All around excellent experience with attentive service, good food and lovely atmosphere. We let Jonathan know that after dining at Taiki we were heading over to Barclay's Center to see Depeche Mode in concert. I'm a huge fan and the entire evening, including selecting Taiki to dine beforehand, was a special event I was looking forward to for months. Towards the end of our meal, we heard Enjoy the Silence playing in the restaurant. I found this gesture to be very touching. We will be back for the food and the service. Wonderful omakase. Lovely little place, tucked away. I feel so lucky to have discovered it. Chef Taiki has created a warm and welcoming ambience in which to serve his inspired preparations and delicious food. Amazing sushi/ food in general, super cute location, great service! Food was good but portions were very small for the price. Loved the ambience and the staff was very friendly. The food is ok. Good not great sushi. It took far too long to order and then get our food. The biggest issue was value. Wildly overpriced for what you're getting. We each racked up a $100+ bill for not a lot of food. Needs to be 40% cheaper at least. 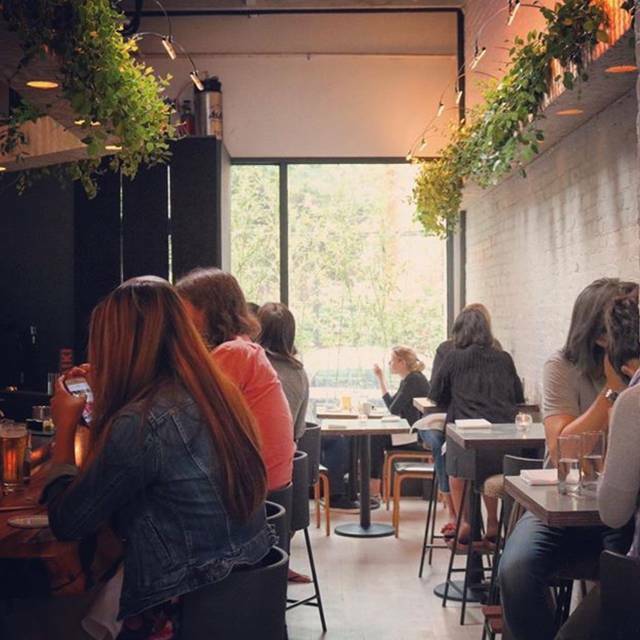 A pure gem in Boerum Hill! Amazing sushi place! A pure delight! The best sushi ever!!! Few tables but amazing service! Liked being seated at the bar to see the chef preparing the sushi and rolls! Highly recommend this place! Absolutely loved Taiki. Everything about it - great ambiance, the fit-out and design inside the restaurant, the incredible Omakase, very friendly and knowledgable staff and the fact that it's just around the corner! NYC's best kept secret (but I doubt that will last long!). Chef Taiki was very fun and easy to talk to. I highly recommend the 10 course omakase, as you get Uni and Ebi which were amazing and not included in the 8 course one. The couple next to us got 12 course omakase and got Scallop and something else as their last 2 courses. Prices are very reasonable for omakase. We had a fantastic time at Taiki. It was my fiancée's birthday and the waitress was able to bring out a candle with our dessert which was awesome. The 12 piece omakase was amazing and the appetizers were very innovative. We would definitely recommend this restaurant for an excellent sushi dinner. The sushi and sashimi were excellent. 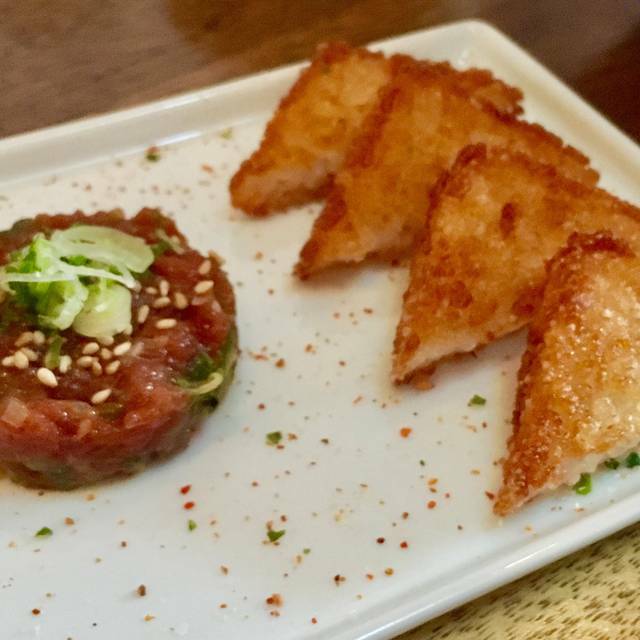 Loved the toro tartare and edamame! The downside is the only drinks they offer that are not alcoholic are water and tea. The short haired female server was very condescending and rude when asked questions as simple as “Can I please have some soy sauce?” I wouldn’t eat there again nor recommend it to my friends because there are so many other amazing sushi restaurants in Brooklyn with better service and a broader selection. If you’re going to pay $300 for sushi, the service better be spot on. AMAZING Japanese food, and superb service. This was my third time at Taiki, and each time it actually gets better. Felt like dining in Japan: high-quality sushi, served quickly. This is not a place to linger, especially since the wine/sake list is limited. But if you like to have a delicious meal where you can get in and out in under an hour (I do! ), this is a great place to do it. Wow. Unbelievable sushi hidden away ok night Boerum Hill. my wife and I had the omakase, it was fantastic. 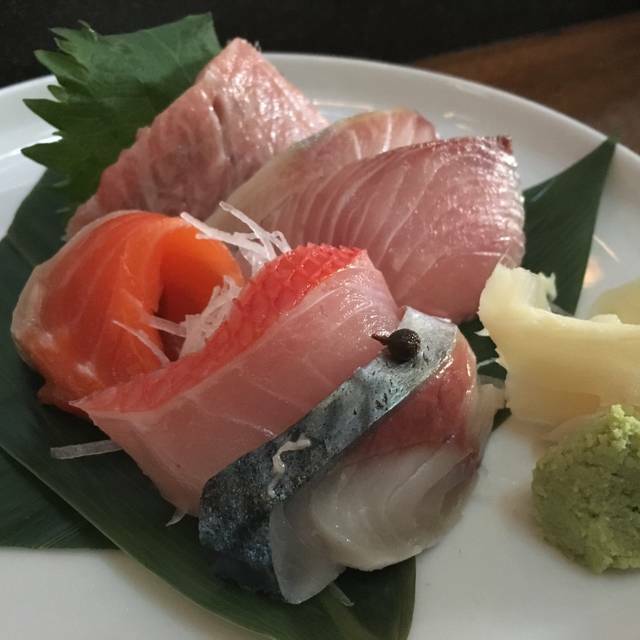 Some of the best sishinibw had in NYC. Would go back and plan on it.